If you are looking to hide a well pump, septic tank riser or other eyesore in your yard, you have come to the right place. 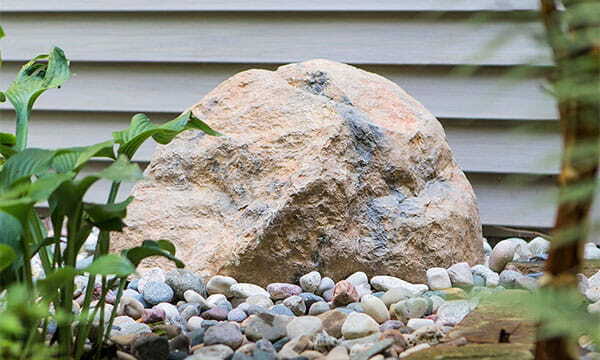 This Outdoor Essentials® Jumbo Rock is large enough to cover those unsightly things, and more. It is hollow and light, making it easy for you to move it yourself. It will stay put in windy weather, because it is curvilinear in shape. This rock looks real and can be used in place of a real rock in your yard. No one will know except you (and us, but we won’t tell). Each of these amazing jumbo rocks are painted with a UV-resistant finish for long lasting good looks.